Camper and Nicolsons is the oldest leisure marine company in the world which was set up in 1782 by Frances Amos. He set up the first ship yard in Gosport at Portsmouth. In 1809 his great nephew William Camper was apprenticed and by 1821 the yard was building small trading ships. When Frances Amos dies Camper took over the business and started building strong links with the Royal Yacht Squadron, from this camper built a reputation as a builder of fast yachts. Ben Nicholson joined the yard in 1842 and eventually became chief designer producing innovative design for the company. The formation of the Camper and Nicholson Company was formed in 1863, the construction of large schooners became the company’s main output, and Nicholson went under a 30 year programme of expansion. In the 1900s Camper and Nicholson saw the arrival of Ben Nicholson’s three young children who all became part of the company. His eldest son Benjamin provided the company with a supply of crew for the yachts that where built for the rich, this service continued until 1939. His youngest son Arthur provided the company with his managing skills. He maintained the construction facilities of the yard, but also maintained the purchase of expansion facilities in Southampton in 1912. Ben Nicholson’s middle son Charles made his impact through design. 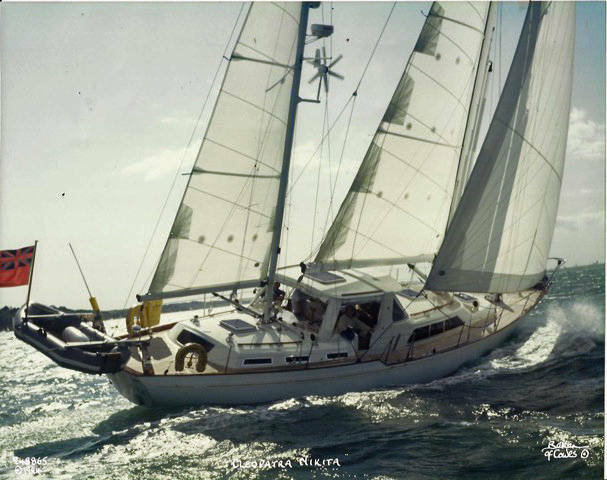 He developed new craft and introduced the 15 meter design Istria, which led to development in using lightweight materials.